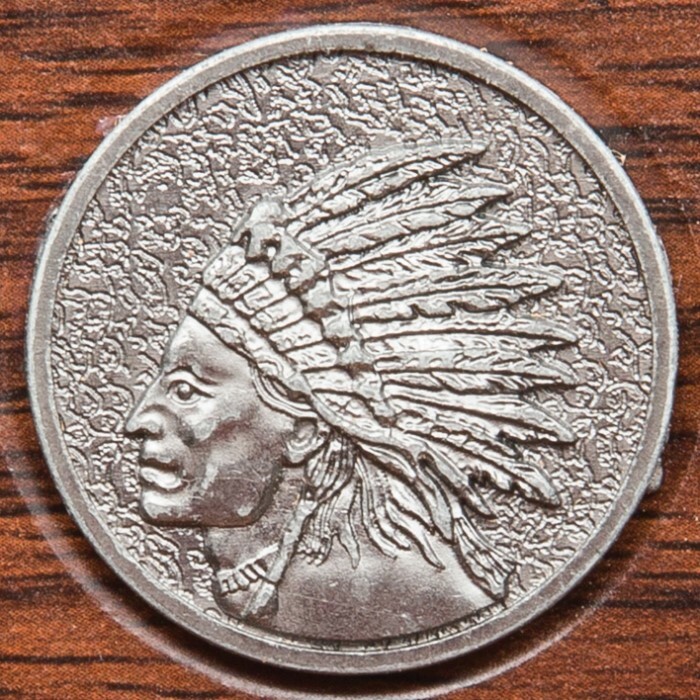 Add this Native American inspired piece of rustic wall art to your home, hunting lodge or office decor and it’s sure to get compliments. The Eagle Arrowhead Spear is expertly crafted of pewter-colored, aluminum alloy to look like actual stone, complete with knapping marks. 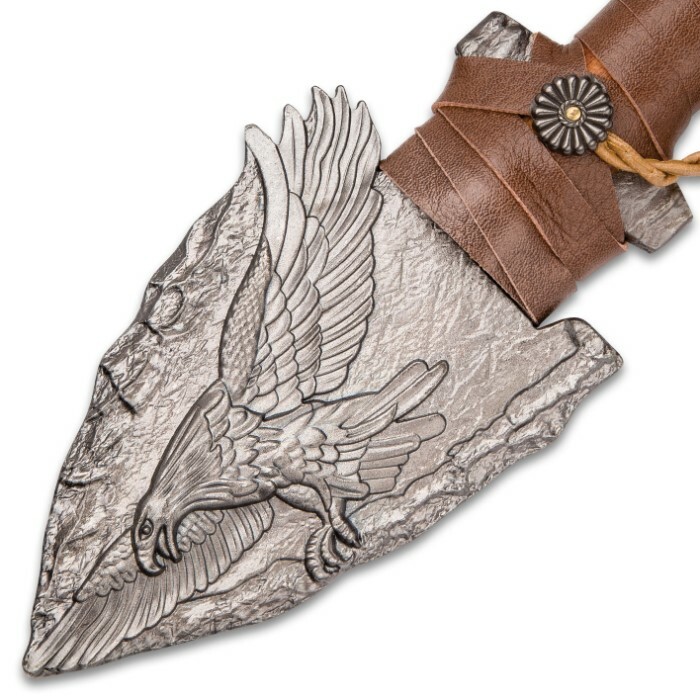 The sculpted piece of art features a painstakingly detailed eagle in flight, which spans the arrowhead from corner to tip. 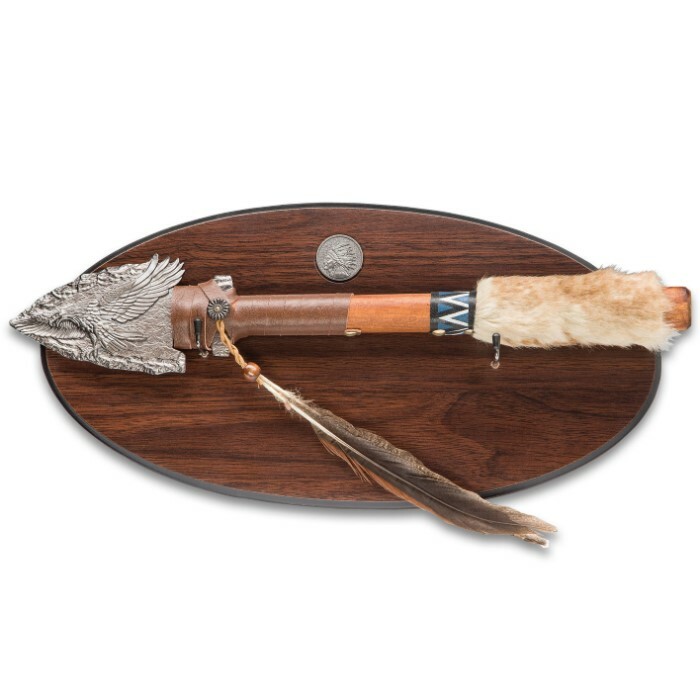 The shaft of the display spear is made of pakkawood and is rich with details like brass studs, faux leather wrap and painted tribal designs. 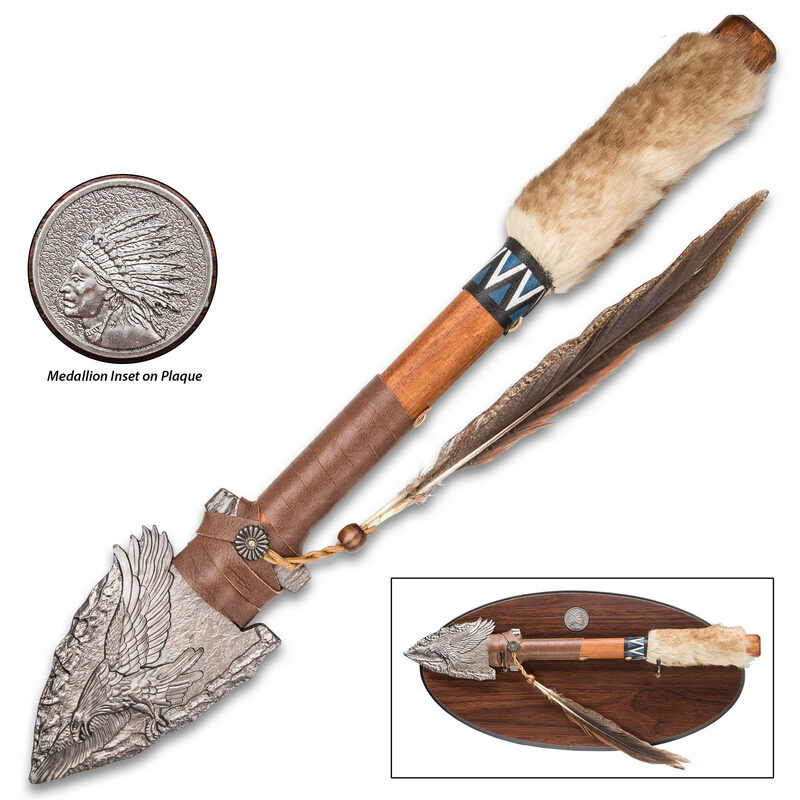 It also features a faux fur handle grip and a feather accent. The included wooden display plaque comes with mounting hardware.